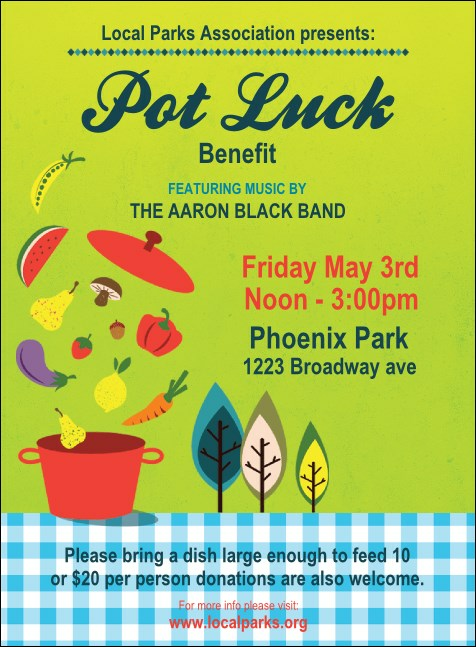 Invite old and new friends when you send out this fun and festive Potluck Benefit Invitation. Celebrate the best in your community with the bright spring blue and green colors, with a variety of fruits and veggies ready to be eaten. Get your RSVPs ASAP with this sweet template. Need tickets, flyers or posters? Order a Matching Event Kit from TicketPrinting.com.